We can all agree that Battle Royale games have taken the world by storm these last few years, and as expected, 2018 is no exception. This first quarter of the year, in particular, has brought with it a special frenzy among millions of gamers all around the world, and twice over, no less. 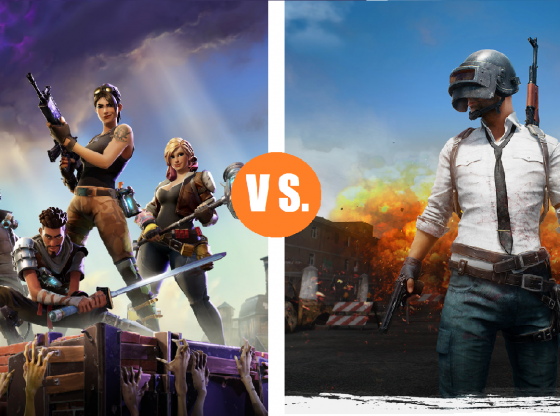 We’re talking about this season’s top, and increasingly popular Battle Royale contenders: PlayerUnkown’s Battlegrounds and Fortnite Battle Royale, short for, PUBG and Fortnite, respectively. The premises of the games are pretty much the same: Your character is plunged from an aircraft device into a hostile, dystopic world, along with 99 other players, with whom you’ll have to fight and ultimately kill to survive. You’ll also be issued with an arrange of weapons and tools (some free, others will have to be purchased) that will help you throughout your quest and missions, which will become harder as the clock ticks by, and besides all of that, the setting where the game takes place is going to be shrinking as well. So, in a nutshell, the last one standing wins. However, besides the similarities in its premises and overall main objective, each game widely differs from the other in a lot of aspects, namely, graphics and gameplay. FORTNITE: BRIGHT COLORS AND CARTOON-ISH DESIGNS. One cool thing about Fortnite is that besides being a Battle Royale game, it is ALSO a sandbox game, which results in a foolproof combination that has been able to latch millions of gamers of both game styles. In Fortnite you are transported into a dystopian world where, one day, 98% of the population disappeared, and the remaining ones need to survive at all cost. Even though the game’s synopsis is kind of dreary, ironically, its graphics and settings are filled with bright colors and characters with fun, cartoon-ish styles that may appeal to a broader audience, making it more family-friendly, considering all the murder and violence involved. The game starts with you jumping out of a flying bus, along with 99 other people, and because the objective of the game is to be the last one standing, everyone will try to outsmart, and ultimately kill anyone who crosses their path. Once you’ve landed on the ground, it’s show time. Each player is assigned only a pickaxe that can be used to hit at practically every object you find (trees, boxes, cars), and in exchange, you will be rewarded with some needed resources to build whatever you deem necessary to survive. Additionally, there is a storm surrounding the area that will start shrinking itself as the times passes, forcing all remaining players closer and closer for one final battle. PUGB: A MORE REALISTIC, MILITARY APPROACH. 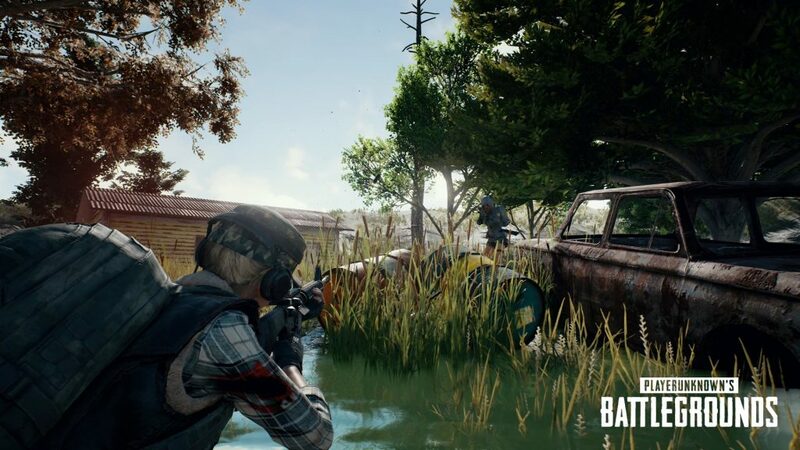 PlayerUnknown’s Battleground was the first of the two games to be launched, which may give it an advantage over Fortnite in terms of accumulated fan base. And since then, it has been a major success with a record of the title with the most downloads on the platform, in spite of first being released as a sort of beta version, with several glitches here and there. PUGB has a much more serious, military approach in its gameplay, in which all of the elements that surround you are designed to appear as close to reality as possible: The characters are all humans, the fields and settings are pretty much a carbon copy of what they would be like in real life, and even all the weapons available actually exist in real life. Speaking of taking a more realistic approach, instead of a flying bus, PUGB begins with all players skydiving out of a plane into any place of their choosing. In PUGB’s case, you can choose between two settings, in the form of two large maps. Because the settings in which PUGB takes place are considerably large and wide, the array of tools and weapons available in the course of the game is also broad, and it ranges from unusual-but-strangely-popular weapons such as frying pans to machine guns, armor, care packages and not-so-useful tools like fingerless gloves. Well, because both games have certain traits and aspects that may appeal to some gamers more than others, it really comes to the preferences of each player. 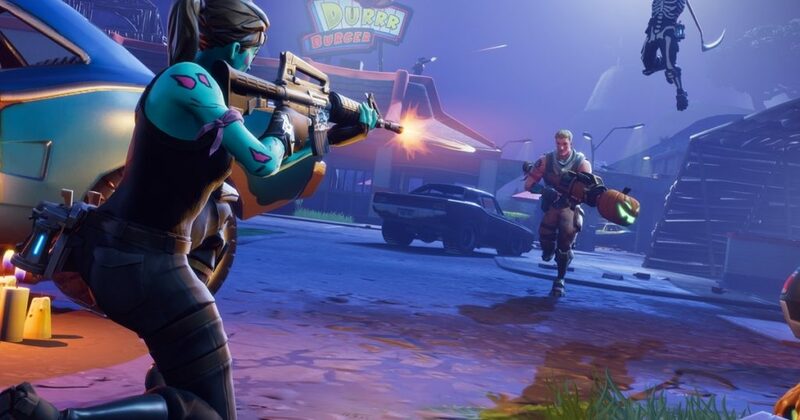 While Fortnite has a more friendly and colorful approach, with the added bonus of being able to build things; PUGB is more serious-looking, has a broader map and a really extensive set of weapons to choose from. In the end, both games are seriously addicting and engaging, the two of them reaching at some point this year more than 3 million people playing at the same time! And even though each game may last up to 30 minutes, more than being discouraging, it adds up to the appeal because most of the times the next game is very different from the previous one. So, whichever game you choose, beginner or not, they are certified to have you on the edge of your seat and addicted in no time at all. Do you play any of them? Let us know in the comments below why you play it!